The 1960s birthed the age of flower power and psychedelia, but it more importantly ushered in a growing passion and commitment to political activism. Student demonstrations, strikes, and protest movements gained steam as the Vietnam War hung heavy over the heads of young draft-age men. The civil rights era was in its infancy, but its resolute pledge to the cause of social justice was clear. It is in this atmosphere of political upheaval and empowerment that a consciousness of non-violent peaceful Resistance was born. 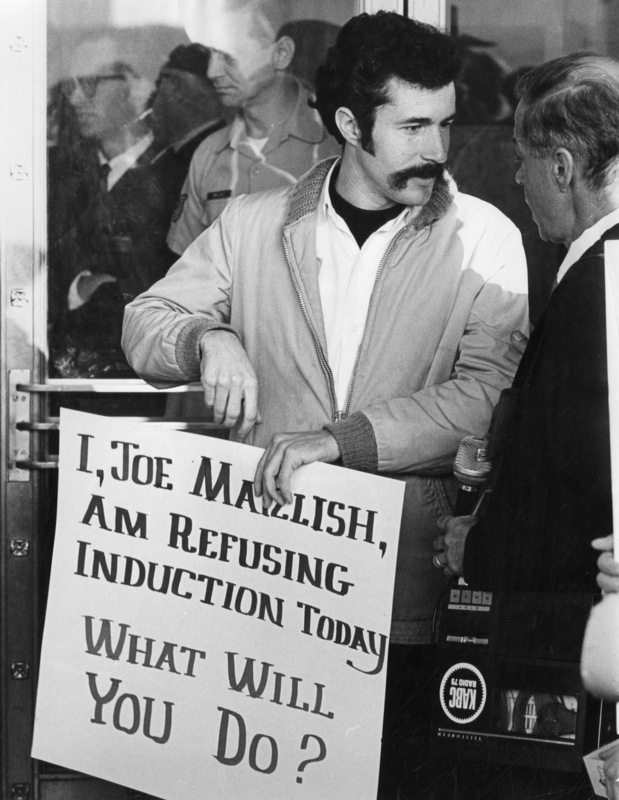 The Los Angeles Resistance was formed in 1967 as an alternative to the draft, war, and mighty military machine, and as such was dedicated to non-violent non-cooperation with the Selective Service System, the federal government agency which administered the Vietnam War draft. 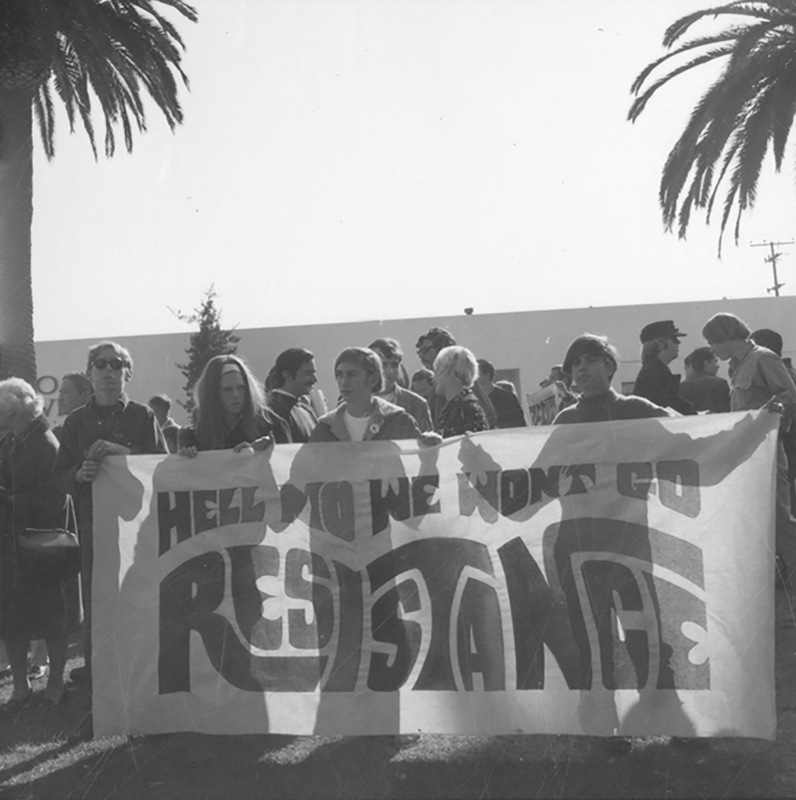 The Resistance was part of a national network of more than twenty local Resistance chapters which coordinated their efforts to stop the draft and promote the idea of peaceful resistance, with the ultimate goal of stopping the War in Vietnam, and later Laos and Cambodia. Resisters were University students who already enjoyed the security of student deferment. Their participation was a call to level the playing field, to question and derail established authority and to plot a new course for action. 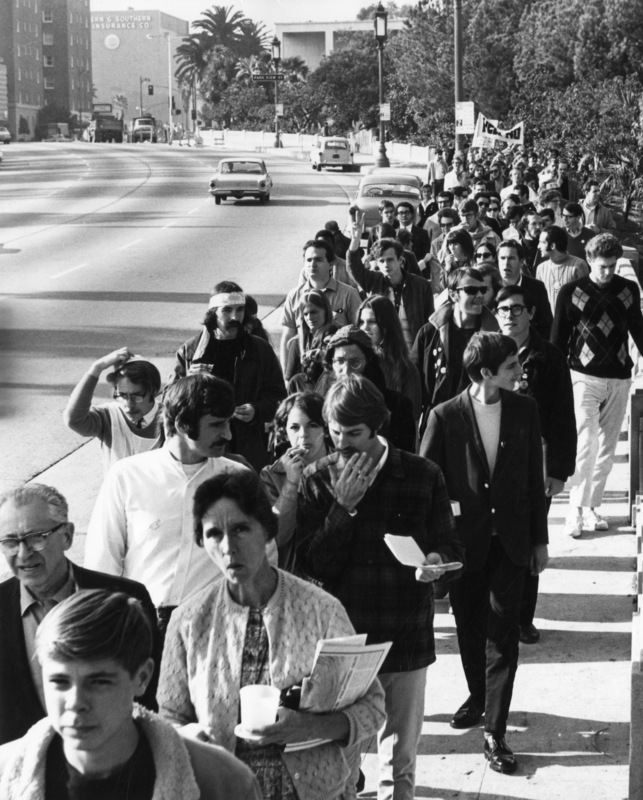 From 1967-1968, the LA Resistance regularly held peaceful protests outside of the Westwood Selective Services office, where busloads of young men were taken for induction into the armed services. They organized four national draft card turn-in events, organized marches and demonstrations, and provided support and sanctuary. Women Resisters, not content to sit by the sidelines, organized and assisted their Resister brothers in their efforts, marching alongside them in peaceful protest and providing a strong, steadfast presence in and out of the courtroom. However, participation came at huge personal and financial sacrifices: Resisters often served prison terms of up to 5 years or a fine of up to $10,000 as the price paid for their non-violent commitment to peace. Less transparently, the FBI kept its tabs and files: Resisters who were under surveillance are just now requesting access to thousands and thousands of pages of documents amassed during this period. After many Resisters were imprisoned for refusing induction, various national Resistance groups worked together to form the Resistance Prison Project, in order to aid and advocate for those imprisoned for non-compliance. 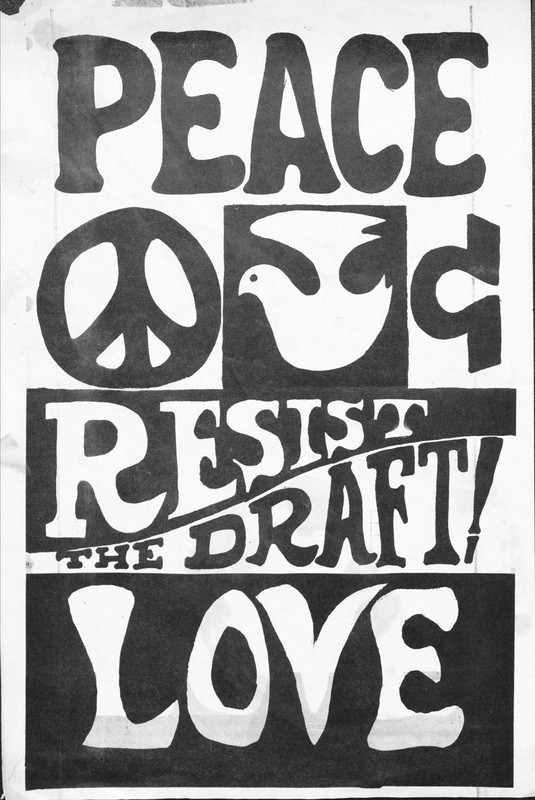 In 2014, the Los Angeles Public Library acquired the Los Angeles Resistance Collection and its materials related to the Vietnam-era draft resistance. The collections consist of papers, correspondence, writings, legal records, newsletters, news clippings, datebooks, prints, photographs, digital still and moving images, and ephemera chronicling the non-violent anti-draft activities of the L.A. chapter of the Resistance. The collection also includes documents related to the National Resistance movement, and materials related to collaborations with other anti-war organizations. The movement serves as a blueprint for non-violent peaceful protest and Resistance today.